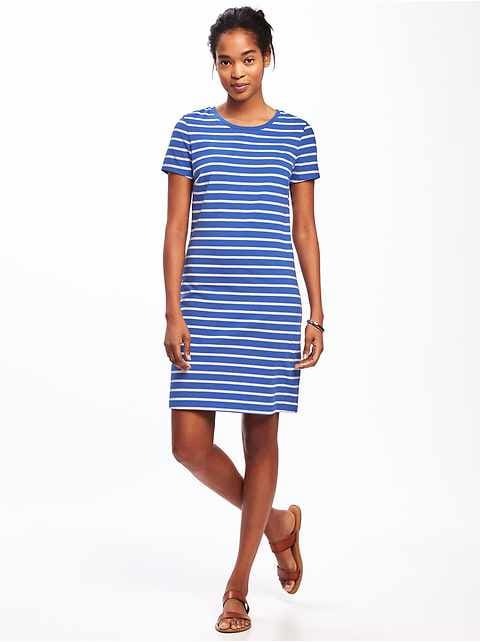 Build your signature look this season with casual summer dresses from Old Navy. 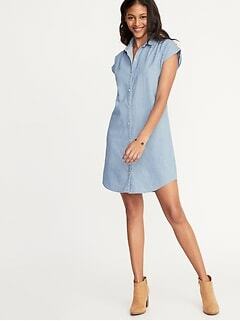 Soak up the sun in casual dresses from Old Navy. This exclusive collection of seasonal silhouettes has been specially chosen for their light, airy feel and vibrant, eye-catching patterns that make them a perfect choice as party attire, vacation wear, or even elevating your everyday attire options. 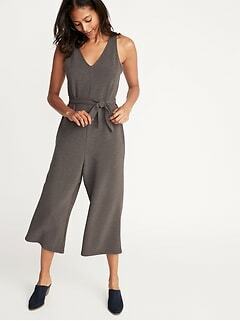 Choose from an appealing array of modern profiles including swing dresses, shirt dresses, cami dresses, bodycon dresses, and more summer staples to help round out your wardrobe in time for the season's biggest events. 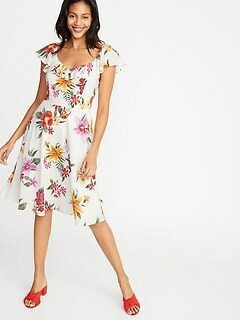 This stock of designer inspired dresses is made from quality natural and synthetic materials, and also feature a carefully crafted cut to deliver the perfect balance of breathability and wearability on practically any occasion. Enjoy long-wearing dyes with this head-turning line of dresses, combining with their designer inspired embellishments such as ruffle hems, embroidered detailing, and colorful printed patterns that help instantly define your most memorable looks. 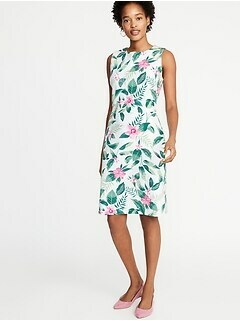 Step out with fearless flair this season with sundresses for women from Old Navy. 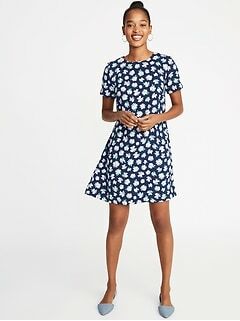 The collection of cute summer dresses from Old Navy can quickly become the centerpieces of your everyday rotation. Every piece in this line of classic and modern profiles is made to elevate your existing attire elements while adding a signature dose of aesthetic appeal. 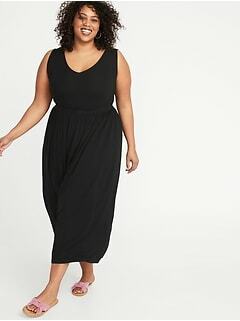 These dresses are made to flatter a variety of body types, with details such as ruffles at the neck, cinches at the waist, and flares through the leg creating a more balanced silhouette. 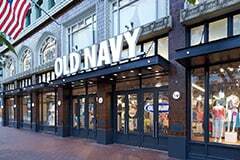 Styling a casual dress is as easy as teaming it up with a pair of sandals in a neutral color such as tan or brown, and you can take the visual interest to another level by choosing footwear in a color that ties into the design of the dress. Accessories such as a sun hat or patterned scarf can make intriguing additions to the look, and you can play up the relaxed casual nature of a summer dress with a slouchy oversized bag to keep all your warm-weather essentials close at hand all day. 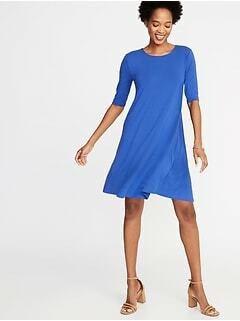 Build a seasonless wardrobe with inexpensive summer dresses from Old Navy.